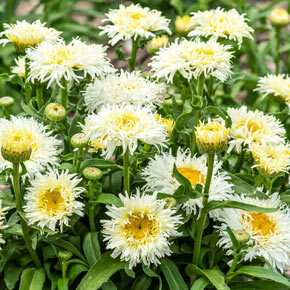 Lasting an extra long time in cut flower arrangements, this compact, upright perennial has large, fringed, double flowers with yellow petals that fade to white from the center out. 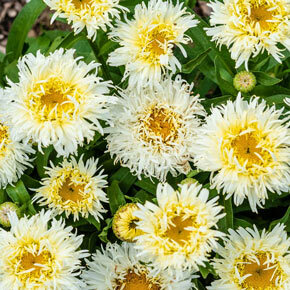 Attract plenty of pollinators with this cheerful beauty! Leucanthemum x superbum 'Coconut' PPAF. Pruning: Remove spent flowers to encourage fresh blooms. All season. Soil Requirement: Average, well drained soil. 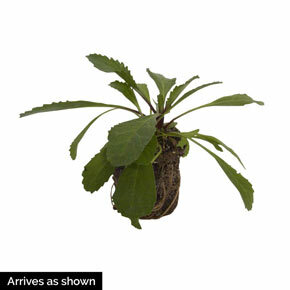 Additional Information: Lasts an extra long time in cut flower arrangements too.